Online security is a top priority for us and we are proud to work with our Community Supporter Stay Smart Online this #SaferInternetDay on 7 February 2017. 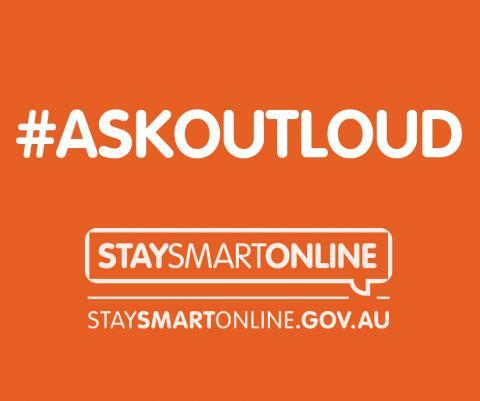 This is a time to stop and perhaps #AskOutLoud about online incidents including clicking on out-of-the-blue messages from long lost contacts that that could result in your social accounts being hijacked. As well as potential phising and scam content, it is important for children and teenagers to beware of cyberbullying and where they can turn for help. We are also a proud supporter of the Office of the Children’s eSafety Commissioner who also supports Safer Internet Day (SID) on a national scale. They provide activities and resources for schools and the community to participate in. The office is committed to helping young people have safe, positive experiences online. We promote online safety education for Australian young people, through our classroom resources, Outreach programme and Voluntary Certification scheme. We also provide a complaints service for young Australians who experience serious cyberbullying, and for reporting illegal online content. For more detailed information, please visit https://www.esafety.gov.au/sid2017.